Ian Connor is an enigma. Able to wear anything and make it look good, Connor seems to be cut from the same cloth as ASAP Rocky. 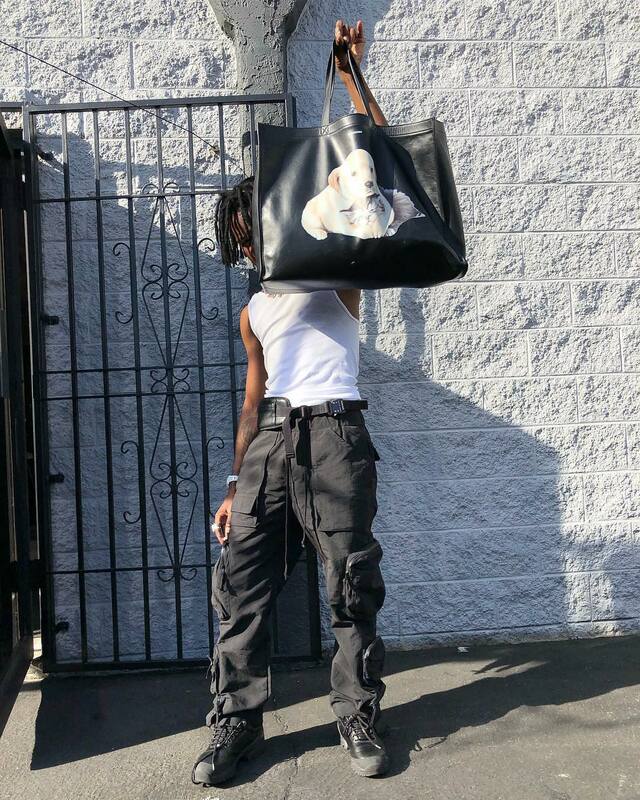 In a military-inspired look, Ian Connor holds up a black leather Balenciaga bag with an emblazoned dog graphic on the front. He teamed the look with a white wife-beater vest, black-washed cargo pants from WhoisJaCov, a 1017 ALYX 9SM belt and a pair of black steel-toe cap boots.